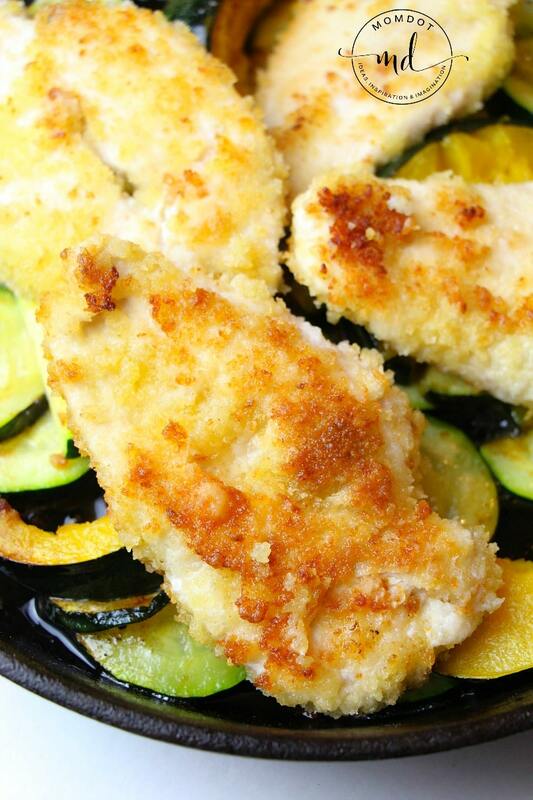 There is nothing that is more tasty than a perfectly butter fried piece of chicken and covering that in Parmesan? Even better! 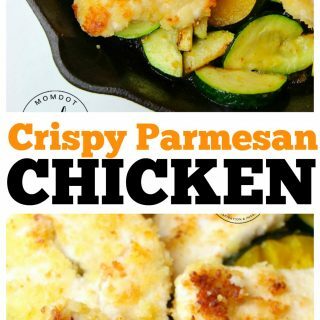 Crispy Parmesan Chicken is such a versatile recipe that pairs well with nearly every vegetable and thrown on rice or pasta makes it a meal that will keep your family satisfied for hours. I love to make this fried up on the stove in a cast iron pan, but you can easily do this in the oven as well with just a few changes. Melt 1/4 cup of butter in a shallow dish wide enough to dip the chicken in. In another dish, combine the bread crumbs, Parmesan , and flour. Dip chicken in the butter, coating both sides, and then into the flour-mixture. Heat 2 Tablespoons of butter in a skillet over medium heat and then add the chicken. Cook for 3-4 minutes on each side before flipping, until the outside is crispy and the chicken is cooked throughout. 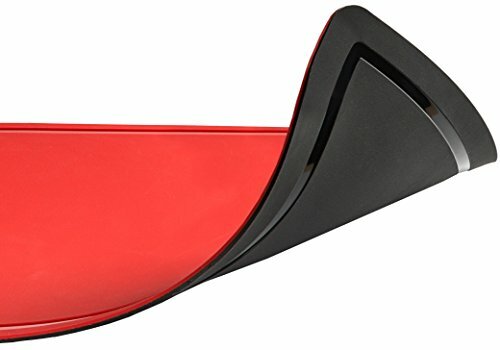 Set aside on plate. Add remaining butter to the skillet along with the garlic. Cook for 1 minute until fragrant. Add the zucchini and squash and saute until tender. Salt and pepper to taste and add a bit of Parmesan for flavor. In another dish, combine the bread crumbs, Parmesan, and flour. Grab this insanely good Creamy Lemon Chicken Recipe before you go!